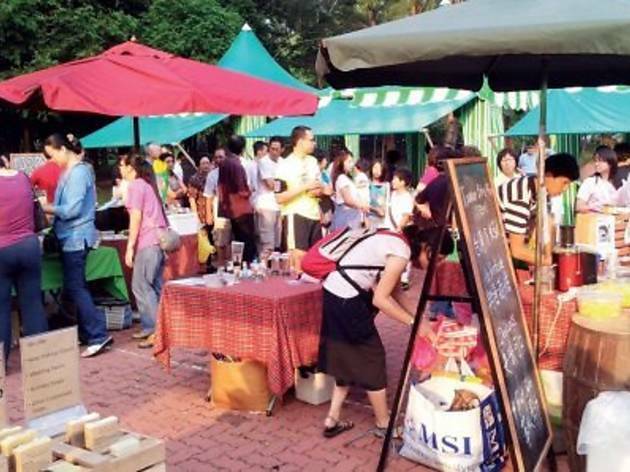 If there’s one event you should attend this December, make it this farmer’s market outside 1 Utama Shopping Centre. 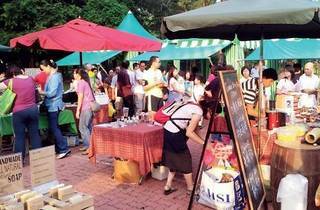 There aren’t many farmer’s markets in KL but this event at Central Park hums with stall owners peddling homegrown vegetables, jams, baked goods and seasonal fruits. Sunday morning will see families aiming to get their weekly shopping done while nibbling on fresh pastries sold at the market. We spotted a variety of gourmet homemade jam in unique flavours such as apple and kiwi, pineapple and papaya, and butterscotch pumpkin. All produce are plucked from farms and orchards so there’s no shortage of fresh and quality goods. If you’re feeling extra virtuous, bring your own totebag or buy a plant grown in a recycled bottle to support the environment.